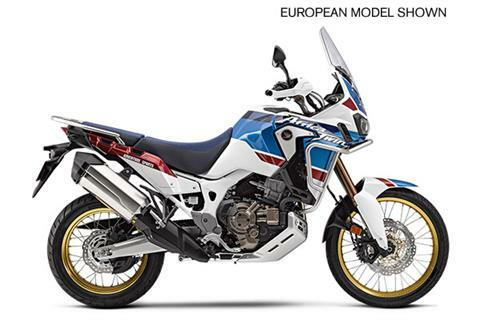 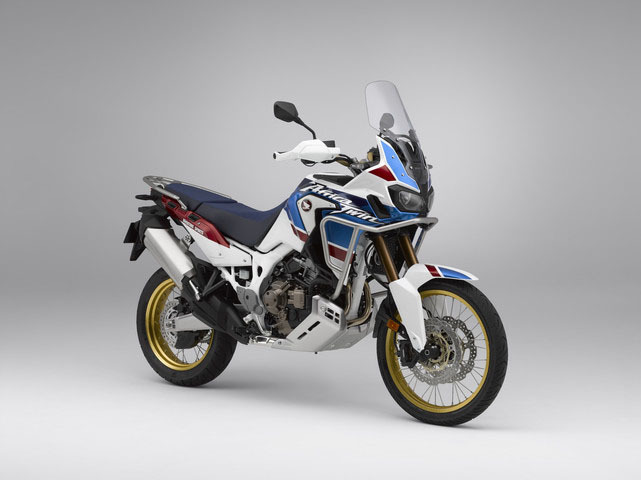 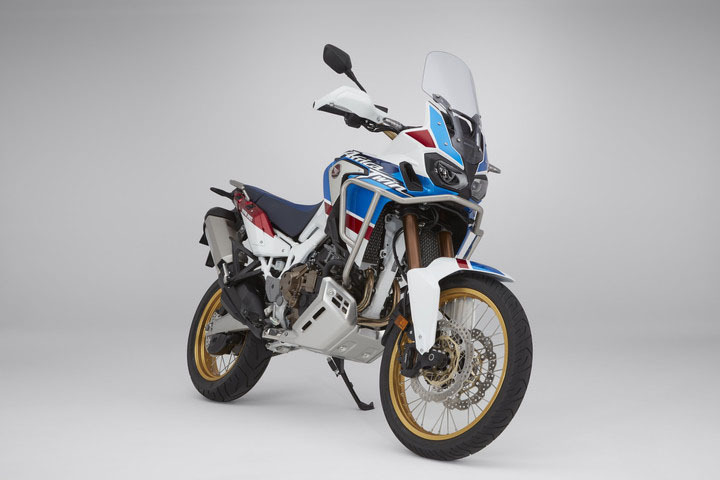 FRONT SUSPENSION: The Africa Twin Adventure Sports model uses a specially built inverted Showa fork with huge 45mm fork tubes and 9.9 inches of travel. 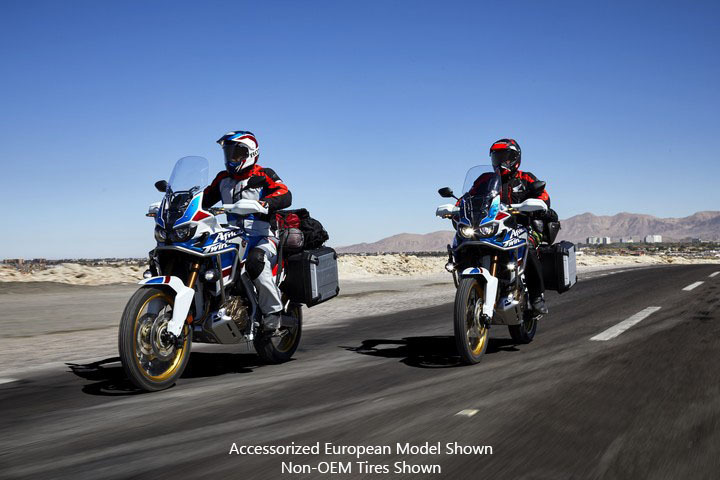 It’s fully adjustable for both compression and rebound damping. 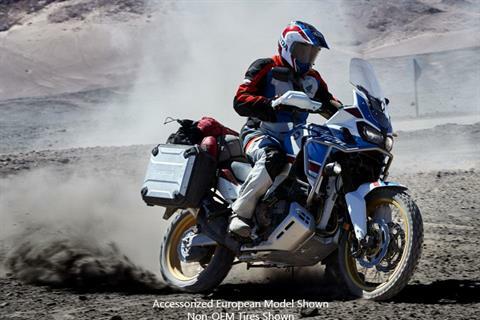 REAR SUSPENSION: Not only is the Africa Twin Adventure Sports' rear suspension fully adjustable, it offers a 220 mm stroke for 9.4 inches of rear-wheel travel. 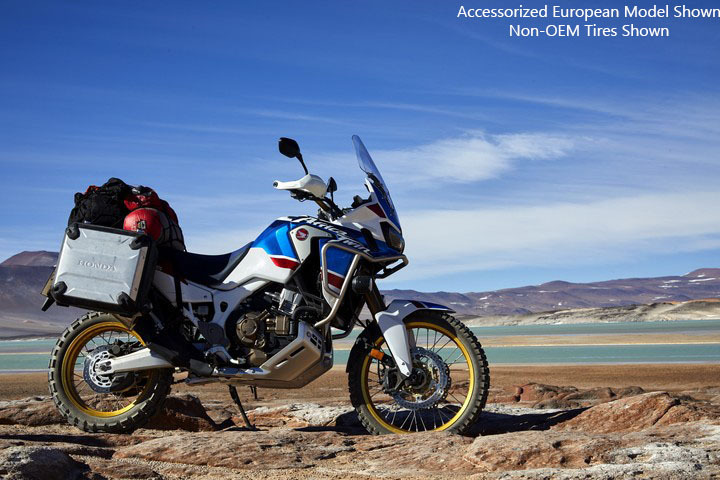 Even better, there’s a special remote preload adjuster—you just turn a convenient knob, and you can compensate for varying loads like a passenger or full panniers. 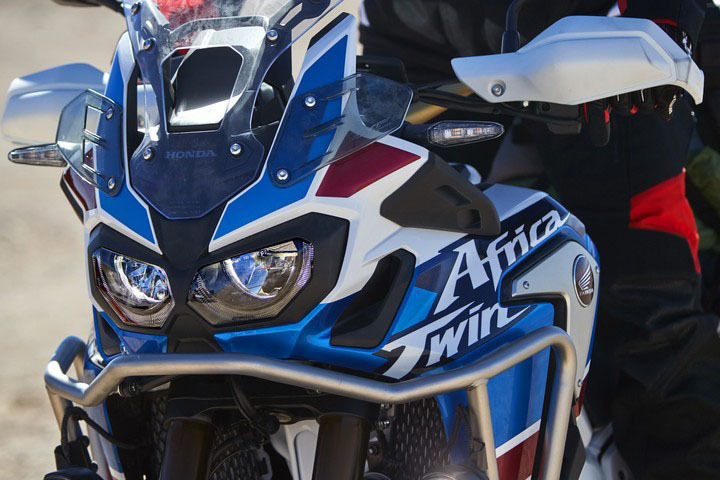 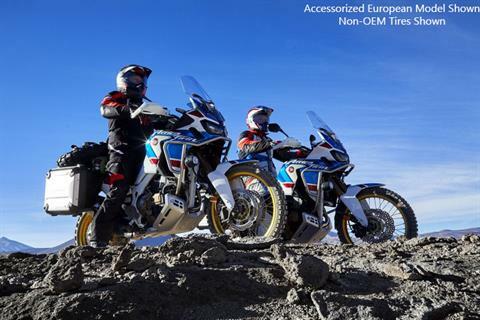 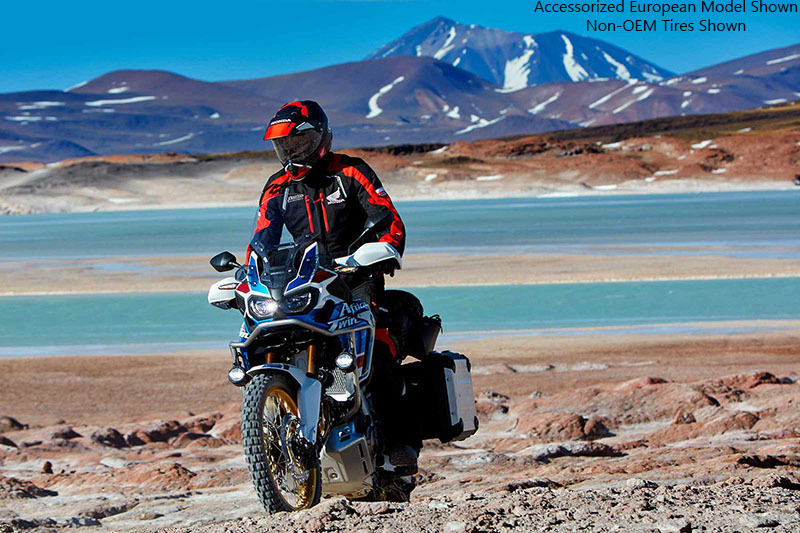 LONG TRAVEL SUSPENSION: The Africa Twin Adventure Sports model doesn't just look like an adventure bike – it’s the real deal. Exhibit A: Check out its long-travel suspension. 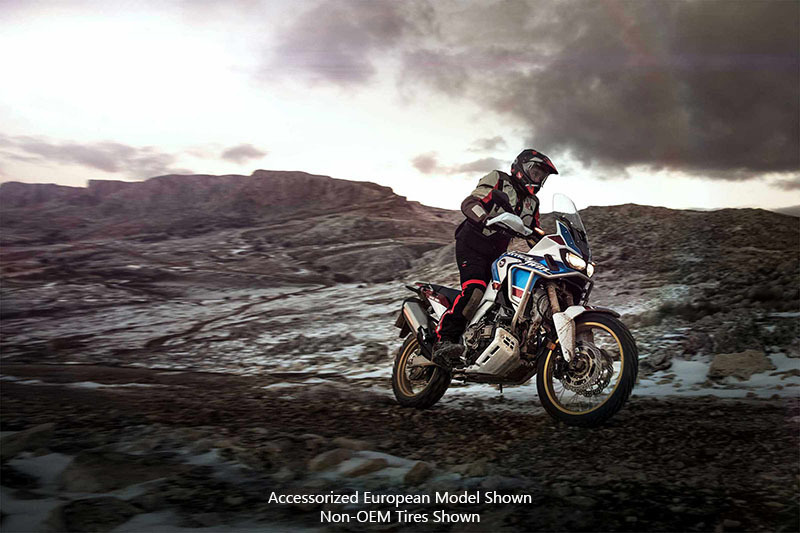 The fork features huge 45 mm tubes and 9.9 inches of travel, while the single-shock Pro-Link® rear suspension is also fully adjustable, with 9.4 inches of travel and a convenient remote preload adjustment. 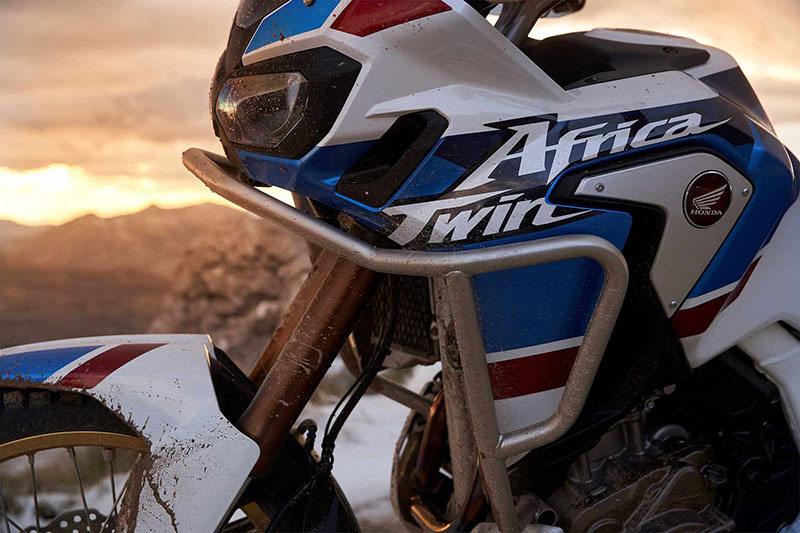 HOLLOW AXLE SHAFTS: The Africa Twin uses large-diameter hollow steel axles front and rear. 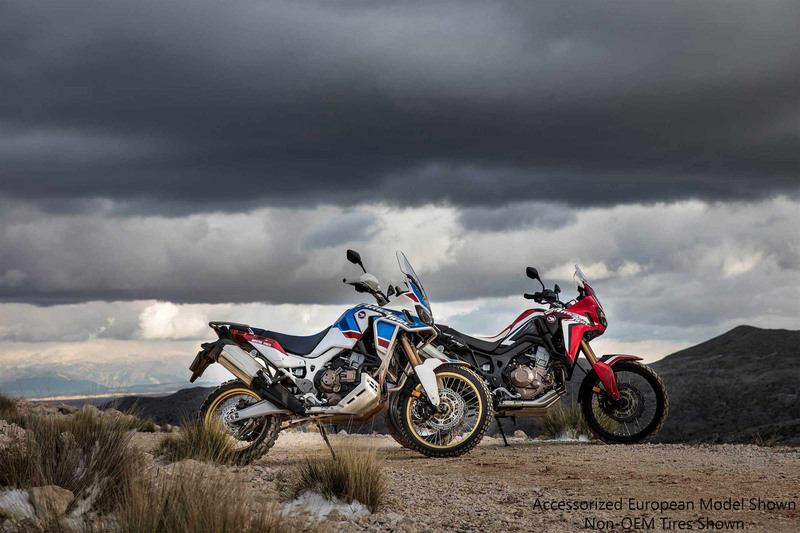 They’re super strong, durable, but also light: a combination which describes just about everything associated with this bike.HONDA SELECTABLE TORQUE CONTROL: The Africa Twin’s throttle-by-wire system lets us offer Honda Selectable Torque Control (HSTC). You can dial in exactly the kind of power delivery you want for the conditions at hand. 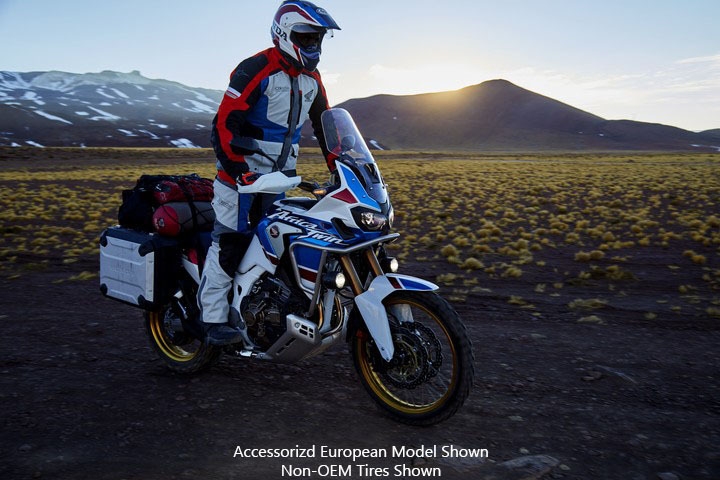 Honda Selectable Torque Control features seven settings for a wide range of conditions, from pavement to fast, loose fire roads to challenging singletrack. 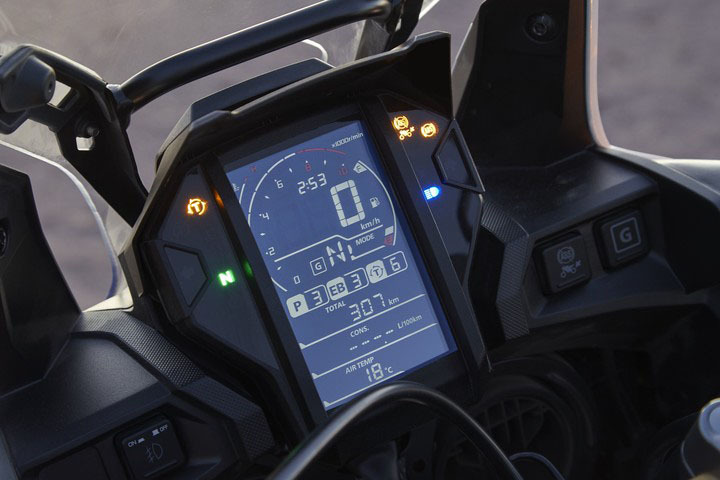 You can also turn it off.